This month is National Dyslexia Month! I wanted to help spread awareness and share some important facts about this neurological condition that affects 1 out of 5 children. When most people think about dyslexia, they thing about struggles with reading. However, dyslexia can also affect speaking, spelling and other skills that involve language. Traditionally, speech and language therapists worked on speech sound development and oral language. Special educators or reading specialists work on reading. Today, speech and language therapists are taking a bigger role in the connection between speech and reading. We now understand that oral language development plays an important role in learning to read and spell. Signs of dyslexia in preschool, early grades and even later will vary. It is important to realize that not every child who shows one or more of these signs with reading has dyslexia. Concerned parents and educators can talk to a child’s doctor and school about the signs. Keep in mind doctors typically cannot diagnose dyslexia. It often will require a full neuro-psychological evaluation to get to the bottom of a language learning disability. Remembering and following directions with multiple steps. Once in kindergarten and through second grade, a parent or school teacher might find that a student has difficulty learning letter names and remembering the sounds they make. They might confuse letters that look alike such as b and d, or have problems recognizing vowels or blending sounds to make a word. Dyslexic children also often have poor handwriting and have trouble remembering how words are spelled. They also have challenges coming up with a list of words if given a category or retrieving the name of something. As dyslexic children enter the older elementary grades and early middle school, one might find that they often confuse or omit small words such as “for” and “of” when reading aloud. They often have trouble explaining what happened in a story or answering questions about key details. They also will often avoid reading or become agitated when reading and will take a long time to complete reading assignments. I have recently started my Associate Level training in the Orton Gillingham approach through the Academy of Orton Gillingham Practitioners and Educators. I’m learning about the fascinating and complex neurological condition known as dyslexia and how it is so related to speech and language development. I look forward to learning and sharing more information about this condition. Experts agree that with early and appropriate intervention such as using the multi-sensory Orton Gillingham approach to read and write, dyslexics can actually become fluent readers and become very successful in school. Dyslexia is the most common learning disability. About 70-85% of children that are placed in special education for learning disabilities are dyslexic; individuals with the condition have difficulty in the areas of language processing. One in five people suffer from dyslexia. Primary symptoms of dyslexia are difficulty with reading and spelling – ranging from slow and inaccurate reading and minor inaccuracies in spelling to almost total inability to read and spell. There is typically a family history of reading and or spelling difficulties in children with dyslexia. 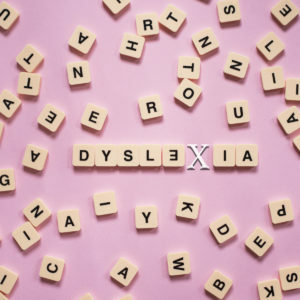 Dyslexia is a lifelong learning disability, but with early, intensive and systematic intervention, a dyslexic student can keep up and retain his or her grade level in school. Experts can accurately identify those who are at-risk for dyslexia as early as preschool and identify dyslexia as early as first grade. Individuals with dyslexia can become terrific readers with systematic, explicit and research-based instruction such as that used in the multi-sensory Orton Gillingham approach. Dyslexia is the most common cause of difficulties with reading but is not the only cause. Children with problems understanding spoken language also have problems with reading comprehension. Many dyslexics have very high IQs. Many famous authors, researchers, actors and actresses, politicians, athletes, and others from all different professions are dyslexic. It is a myth that people with dyslexia see things backwards.